Rock Steady! 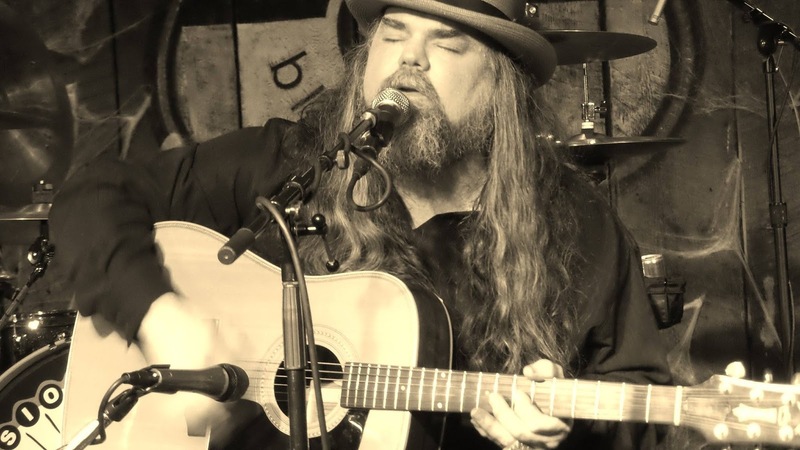 See Sweet Water & Shawn Smith Live at Nuemo's June 4th! The Very Definition of Seattle's Most Beloved Musicians on One Stage! To get tickets now click HERE! Did you know that Xanaland's non-profit Shine Music Project is part of Amazon's affiliate program ' Smile '? This means that when you purchase products on Amazon through us, Shine is credited, and all your future Amazon purchases can continue to support us. Isn't that a cool way to support a non-profit?! 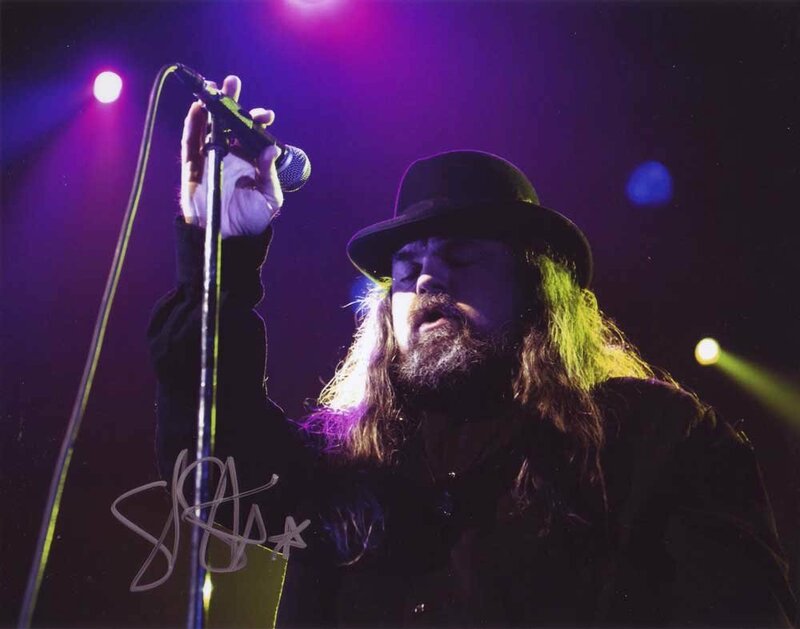 Buy this autographed Shawn Smith photograph by clicking HERE! When news of David Bowie's death spread, Soundgarden frontman Chris Cornell tweeted a video of himself singing the Ziggy Stardust track "Lady Stardust" and wrote that "140 characters will not suffice" when it came to honoring one of his musical influences. Here, he parses the significance of an artist who showed him that it's OK to change. David Bowie was an inspiration. 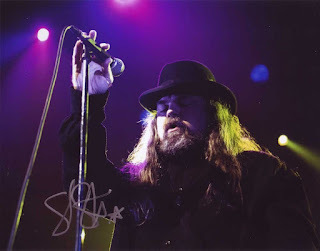 As a songwriter, he had this intense vitality throughout his entire career. He made aging as a recording artist seem totally doable in a vital way. I remember seeing the Ziggy Stardust album everywhere when I was a kid. People used to have all their vinyl in their living rooms, like part of the decor. You would see Let It Be and the faces of the Beatles everywhere, in a corner. At some point, I'd seen Ziggy enough that it piqued my interest, so I probably stole it from somebody. Listening to that record was a bit like going to college, like the Beatles. The songwriting is incredible. I didn't know anything about him, and it was a bit past when that album was a moment in pop culture, but I didn't care. I was interested in the songs and loved every single song on the album. When Scary Monsters came out, I saw him performing on a talk show, and I saw the "Ashes to Ashes" video where he dressed in some strange European clown costume. That had a huge impact on me. Because my first interpretation of him was the red-haired, androgynous Ziggy Stardust character, and seeing him like this made me think, "Oh, you can be whoever you want. You can live a hundred lives. You can create you and you can recreate you, and it's viable." He was the one that proved that that works. I finally got to see him live on the Serious Moonlight Tour, around Let's Dance, in 1983. I was a huge fan by then and I really didn't want to go to that show, because it was at the Tacoma Dome, and I didn't like big crowds. But I went anyway. It was somewhat uncomfortable for me, but the show and the sound and everything about the set and the songs were incredible. The theatrics stood out to me. The Simms brothers were on that tour as backing vocalists, and I remember when they weren't singing, they would stay onstage and sit in the corner at a table and play cards. Nobody ever left the stage. It was an atmosphere where it was theatrical, but relaxed. When you're a kid from Seattle, you've never seen anything like that before, and it was in the context of a pop record, so he didn't have to do that. He could have done anything he wanted. I saw the Police at the same dome, and they just came out and played Police songs and that was that. He didn't leave it like that. I was super impressed. "He was an incredible guy, super inclusive and warm." He was like one of those actors that fully embodies the character that he's creating. He was extremely transformative during different periods of his career. There was something about it that was very European and very not American. American rock bands would walk out like, "This is us and this is who we are and that's what we do," which I think is great, but Bowie was not like that. Later in my life, I was part of a Vanity Fair music issue, where there were a lot of pretty amazing people there for a photo shoot. He was one of them. That was the first time I met him. I'd almost rather not meet someone I'm a fan of because I'm afraid that they're gonna say or do something that's going to then change how I feel when I listen to their music. But he was an incredible guy, super inclusive and warm. I'm always uncomfortable in most situations, and he made everybody comfortable. He was this bright light. Our conversation was very much, "How are you doing?" and "Isn't this fun? Isn't it exciting to be in the same room with Stevie Wonder and Joni Mitchell at the same time?" It was just normal conversations. It's like he saw I was uncomfortable and went out of his way to alleviate that discomfort and make me feel happy about it. It was a compassionate moment for a guy that didn't necessarily have to be that way. Despite my worries, I walked out more excited to listen to his music. I've played his song "Lady Stardust," from Ziggy Stardust, live in my solo shows over the years because I always loved it on the album, and, for some reason, it reminds me of Andy Wood. I wanted to play it in tribute to him, but then I ended up writing a bunch of songs for Temple of the Dog and those took precedence. When Soundgarden split up in '98, I came across that song, and I remember sitting in my car in the driveway listening to it, and there's that lyric, "He was all right, the band was all together," and it's so hopeful. My band had just broken up. And it really gutted me. So that was when I started doing it. I haven't played it more than a couple times live, but it's like the one song of his that I've always been drawn to. I just really love it. When I woke up yesterday, I was already thinking about David Bowie. I was checking out his new record a couple of days ago; I was reading about it, I'd listened to a few songs. Then I saw the news. Hearing he'd died was just a really sad thing. I was very happy with Blackstar. I was really happy with his last album, The Next Day, too. Both albums show an ongoing evolution. I need people like David Bowie, people who are always moving on and not in a frustrating or slovenly way. It encourages me because I want to be able to write music and create albums until I drop dead. I'd heard about him being ill over the last couple of years, so it wasn't a huge surprise, but just reading about his album a couple of days ago, I'd been thinking, "Oh, he's better. He's fine." It was sad to feel like that's not going to happen and we're not gonna see him again. You don't know how important someone is to you as an artistic influence until suddenly they're gone. I've certainly been having that experience. It's kind of equal parts sad and celebratory to think, "Awesome. What an amazing career he had and what an amazing legacy he's left for everybody." Check Out This Wooden Coffee Table That Contains a ‘Playable’ Labyrinth with Moveable Figures! 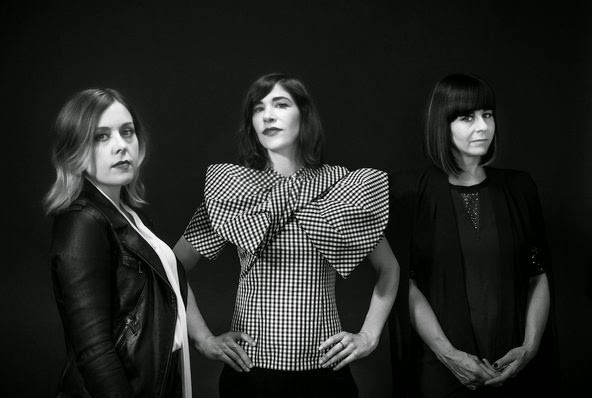 Comeback Kids Sleater Kinney Rock NYC! "As Sleater-Kinney once sang, some things you lose, some things you give away. But as they proved onstage last night in New York, some things are worth fighting to get back. " We're very proud of these girls in Seattle! Read more in Rolling Stone here! School of Rock Opens a New Location in West Seattle! Come Join Amanda Hardy and Meet the Staff For Their Grand Opening on January 31st! I may seem over excited about a lot of stuff we share about but this is one time that I am truly super stoked for an event, for this kicks off another chapter in the saga of Seattle music and which ever road these young souls choose to follow-be it musical or otherwise, it will always lead back to the day their parents signed them up for School of Rock. Check Out These Fascinating 3D-Printed Fibonacci Zoetrope Sculptures! Rudolph-they never let the poor guy play in any reindeer games! So nice to see it, yet not have to get cold! The Grinch! We all know one! Let's see, probably Chicago...in the spring! I love this cat! So much more fun than Grumpy Cat! Who can forget this holiday classic? !